Through the entrance, the narrow corridor overlooking the courtyard leads to the main dining bar. Log fire stove give warm welcome to the guests in winter. There are eight stools at bar counter and no tables and chairs in this area. We have three private rooms with table seating for group customers. Here we explain the purpose of each room and the capacity, so please refer to it when making your reservation. The long counter bar made of a solid timber of cherry can be seated up to eight people. 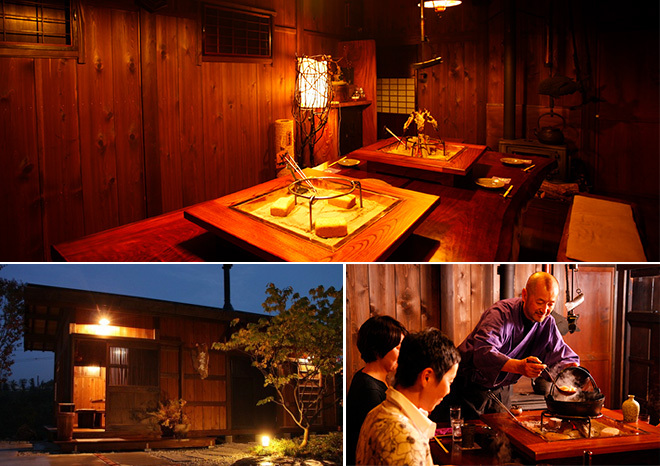 It face to a screen that shows beautiful seasons and ingredients of Hida that the chef took in the Hida mountains We usually reserve this seat for single or a couple guests. If you require a private room, please inform us at your reservation. There is limited availability, we may not able to allocate the private room. 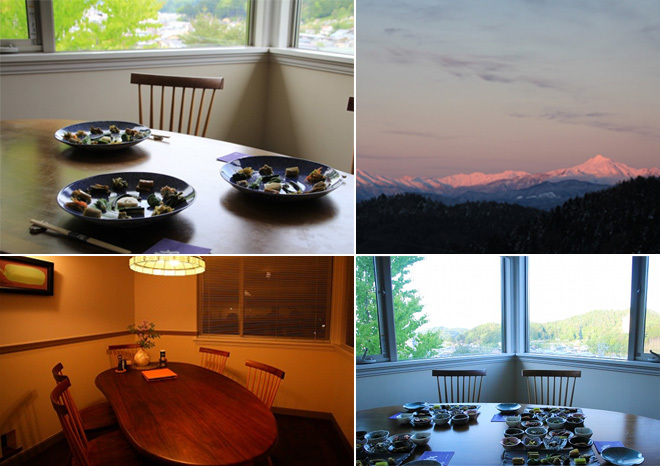 Situated upstairs, the room has the best view overlooking Southern Apls and features café style. 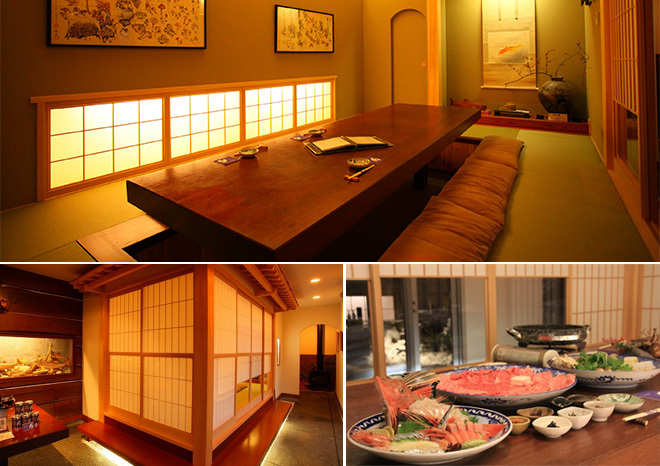 Conveniently situated next to entrance, the room features traditional ‘tatami’ room with horigotatsu-seating (sunken floor), so that the guests don’t need fold their legs. Dining with watching the courtyard would be suitable for small sized gathering of friends or family. 3 minutes from Takayama station on foot. 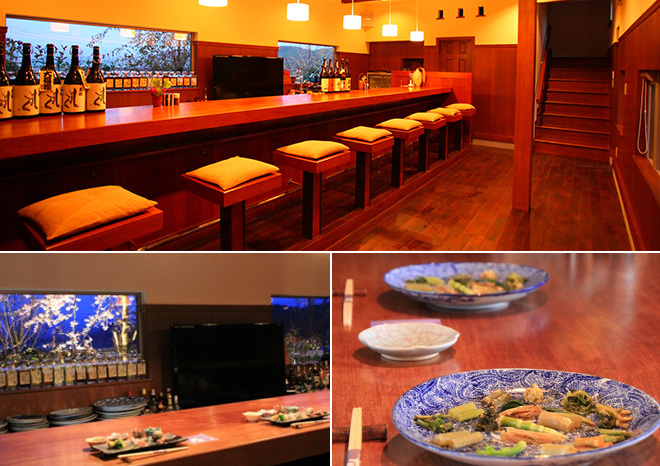 Reasonable with a variety menu of Takayama's local food and Hida beef dishes. Very popular with local folks. © SAKANA - All rights reserved.